I arrived back to Oxnard, California from Denver yesterday evening from a visit with my daughter. Rain fell the night before, puddling the deck with water. My mother and I stood outside in the cool morning breeze to smell rain and touch the droplets pooled on the banister. California is in a drought and it’s been several months since we’ve had any rain. 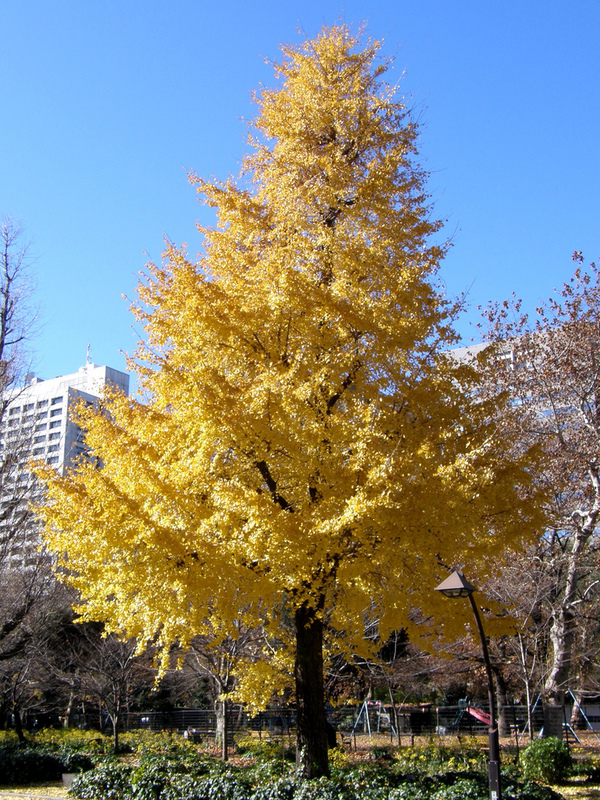 The trip provided a look into the fall season with the brilliant yellow Gingko tree leaves, golden hues of Aspen’s and the russet blazes on other trees. I have no idea what kind of trees they are since I was born and raised on the coast. Traveling with my elderly mom (she would hate that I used that word for her) also provided a look into our coming season. The child is now the mom and the elderly mom is like a child. Before anyone feels miffed about this description, it was said by my mother. Mom can no longer see, walk, hear or smell very well anymore. She uses a cane and needs a wheelchair at the airport. She hates that she burns tortillas on the stove and can’t see or hear the television unless she sits within a few inches of it and has it on 45 volume. The two things she misses the most? Driving and reading. The freedom to travel anywhere she wants whenever she wants. 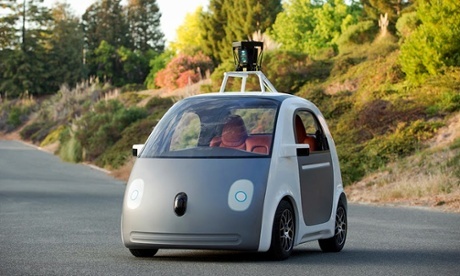 She is keeping up with progress of the Google Self-Driving Car. I can’t bear to tell her that the commercial sale of these cars is still about five years out. But with the reading loss, Mom is still able to read large print, albeit slowly, with her thick glasses that hurt her nose if she reads more than 30 minutes. Before we left to Denver, Mom implored me to give her my manuscript to read (Strong Women Grow Here which is about an immigrant teenaged girl in prison). Mom used that “I might not be around to see it published.” Sad, but true. Given that Mom is legally blind, 12 font on paper is not an option. But, I did figure out how to place the manuscript on my Kindle Fire and enlarge the font so she could see the print. She read every available minute. Hearing her laugh, or frown, or say, “Ay, that Jester,” (the antagonist) touched me to the heart. We had conversations about prison life for female offenders, effects of abuse, faith and people’s ability to change. “You have to get this published. It’s important, people will really like the story,” she said. I love that she is my cheerleader. She’s still waiting to find a computer she can use, because “No one prints photos on paper anymore. They put everything on that ‘Facepage. '” (She calls FaceBook everything but it’s correct name). So, I’ll see what I can do to find her an easy to use computer with a large lettered keyboard, so she can visit ‘facepage’ and my ‘blogging thing,’ because now her travels will be through a computer screen and her memory. A couple of years ago a friend suggested I read the memoir, ORANGE IS THE NEW BLACK, when she found out my novel in progress (STRONG WOMEN GROW HERE) is about a young woman in prison. Aside from the clever title, I didn’t find much to pay attention to when I read the first few chapters. Never finished the book. 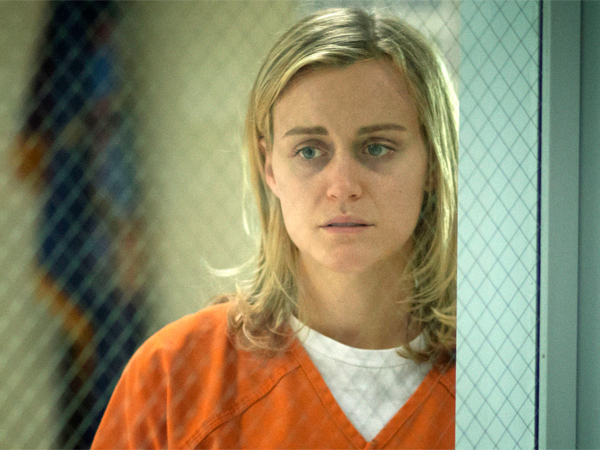 OITNB received an average rating of 3.5, on Amazon, by 189 reviewers. Page 1 — I’m blonde. Page 2 — I’m white. Page 3 — I’m privileged. Page 4 — I went to Smith. Page 5 — I’m better than you. Page 6 — I’m well liked. Page 7 — I can’t believe I am in prison. Page 8 — I need to mention again that I am white, blonde and went to Smith. The protagonist in my novel has none of these privileges. She is seventeen, dark haired, an immigrant, uneducated, has a baby, was a wife, and innocent (well, almost). My daughter is an OITNB devotee and described the Netflix series in much more favorable terms than the book reviewers on Amazon or what I recalled in the memoir. This peaked my interest as usually the book is better than the screen version. So last night I decided to watch OITNB and find out how an ‘average’ memoir ended up receiving the coveted movie option (Page 9). I didn’t intend to watch past the first episode, but I was pulled into the story so quickly that I had to watch more. I spent six hours watching six episodes on my Kindle Fire and would have watched the seventh episode, but I had a neck ache. So how is it that this memoir by Piper Kerman found its way to become a Netflix series? Created by WEEDS writer Jenji Kohan, she and writer Marco Ramirez converted Kerman’s novel into dramedy, blending dramatic moments with comedy. The novel became a launching pad for television writers who took the characters and made us care about them enough to want to know what happens to them next. It is OISTNB redux. The character’s backstories, intermingled throughout the episodes, show us their motivations, what drives them, their truths, and ultimately we care about them enough to watch an episode after episode. OITNB-the Netflix version, does what readers want from a great book. Writers have to make the reader care enough about the characters in the story to keep reading. Readers want to see how or if the character changes and what is the outcome. It doesn’t matter too much if they are in prison or in an English countryside. What matters is whether the writer can sweep the reader into the story to the end. There is no doubt that the Netflix series does just that. So many thought provoking articles appeared this last week about the new year, new beginnings, dreams to reach for, and things to think about. Two poems that captured my attention are shared here for you to turn over in your mind, maybe help you to pick up a pen, type some words, sketch, or sing. This first poem is listed as a writing prompt on the Writing Inside VT blog where writers Sarah W. Bartlett and Marybeth Redmond bring ” incarcerated women’s words from the inside-out.” They both volunteer at Chittenden Regional Correctional Facility and facilitate weekly writing circles. Consider what you are leaving behind in 2012 and what you are bringing forward into 2013. This poem reminded me of a cocoon breaking open, an unfurling of new untested wings, slow, hesitant, then steady. We may have been on this same route many times before, but this time it’s going to be different. Maybe not a giant step, maybe only a small leap. Whatever the size it’s a link from past to future. This poem was on my Facebook. Can you make this promise to yourself? Do you dare? Read it, say it, believe it.